At Microsoft’s E3 press conference on Monday morning, there was a video montage of a lot of games that are coming to Xbox One through the ID@Xbox program. Over the next few days, XBLA Fans is bringing you a slightly longer glimpse of those titles than what the montage trailer allowed for. Our coverage of these titles will be in alphabetical order. Below is a look at the first seven of those games. 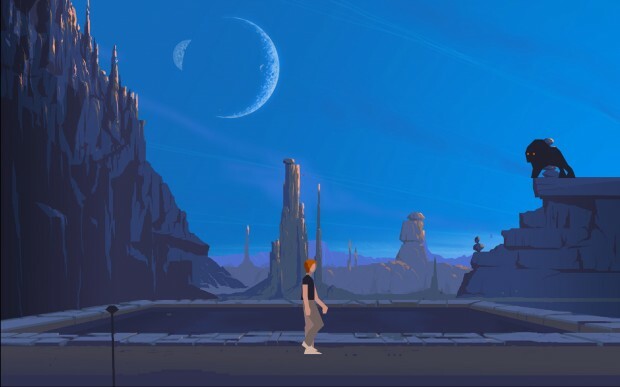 Previously known in the United States as Out of This World, Another World might recall the original Prince of Persia — both titles were animated in similar fashion, using rotoscoping to create more precise animations than were previously possible in the early 1990s. This 20th Anniversary Edition, developed by The Digital Lounge, looks to be more historical preservation than remaster, which shouldn’t stop modern gamers from getting a taste of the old world by looking at this forgotten gem. 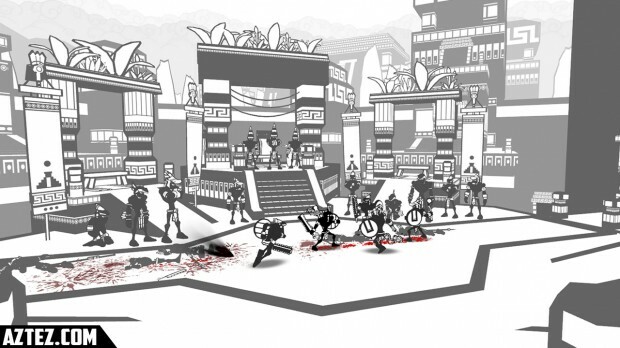 Aztez is a black and white hybrid of beat ’em up and turn-based strategy games by Team Colorblind. The combat is not unlike a two-dimensional Devil May Cry, complete with combo counter. While we are yet to see the turn-based portion of the game in action, a player’s choices in the beat’em up sections affect the gameplay of the other and vice versa, which sounds intriguing. 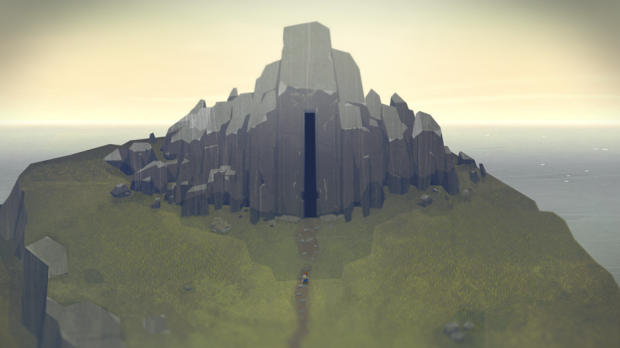 Below, developed by Capy Games, is a slow-paced dungeon crawler that invites players to explore without clear guidance, harkening back to times before tutorials and linear pathways through a game. In an interview with Polygon, Creative Director Kris Piotrowski cited both Spelunky and Dark Souls as influences, so expect a tough-but-fair journey recalling the days of 8-bit gaming where frequent death is utilized as a teaching tool. Check out our extensive preview from the PAX East build for more about Below. 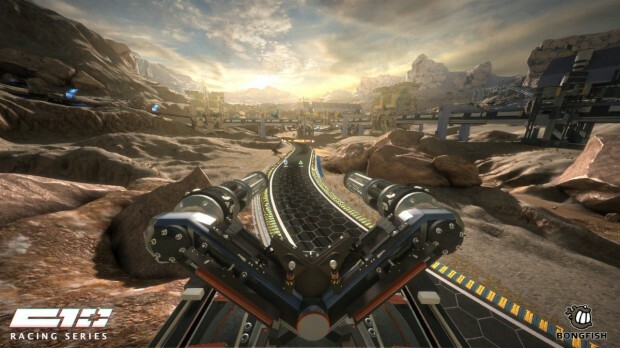 Bongfish’s Calibre 10 Racing is an interesting hybrid of racing game and shooter. Four teams of two players — one player as driver, the other manning a turret that circles the track — compete together, working in tandem to make sure that their team’s car finishes first. For players interested in new gameplay experiences, this is one to keep an eye on, as the combination of FPS gameplay and racing game is intriguing. For reference, the above screenshot is from the Steam page for the PC edition of the game, though there should not be significant differences between platforms. Chariot, developed by Frima Studios, is a platformer that recalls the best parts of the 32X title Knuckles’ Chaotix — both are games in which characters are connected via rope, and the bulk of the gameplay is formed out of interacting with momentum. 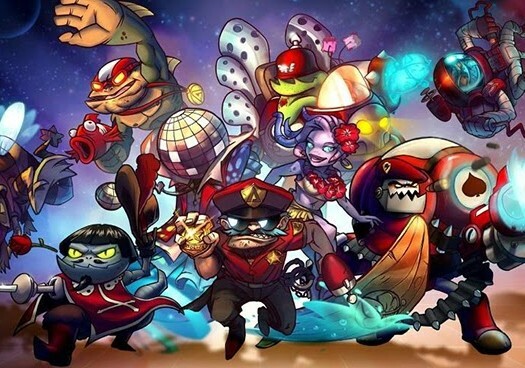 Readers for whom local co-op is a big factor will want to take notice — the teamwork involved here looks to be more engaging than merely dropping a second player into the same space. The aesthetic of StudioMDHR’s Cuphead is inspired, making one wonder how games have been made for decades without a developer having worked in this specific graphical style. 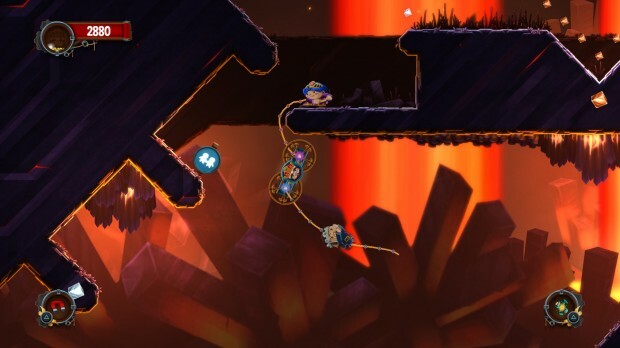 The game is a 2D platformer styled after early cartoons of the 1930s — looking at it, it’s easy to see glimpses of Felix the Cat or the early days of Mickey Mouse. 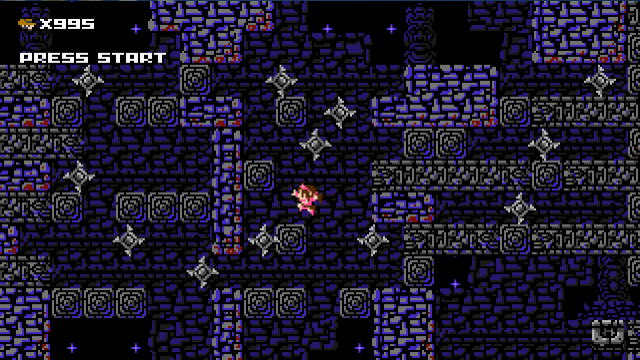 It’s immediately both familiar and beautiful, and the run and gun action looks solid as well. 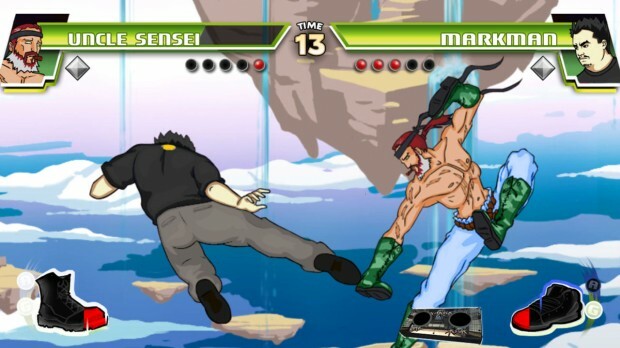 Divekick, developed by Iron Galaxy, began as a parody of modern fighting games, boiling the genre down to its core essence of reading players’ choices. It emerged as a complex fighter in its own right, despite having only two buttons (and no movement otherwise) for a player to press — just “Dive” and “Kick.” That the game managed to have widely varied characters with that limited moveset should speak to the care with which the game was crafted. Divekick was created by fighting game fans, for fighting game fans, and it shows. Traditionally, modern fighting games have been multiplatform; it’s nice that this indie gem, which released last year on PlayStation and PC, will soon be available to Xbox gamers. 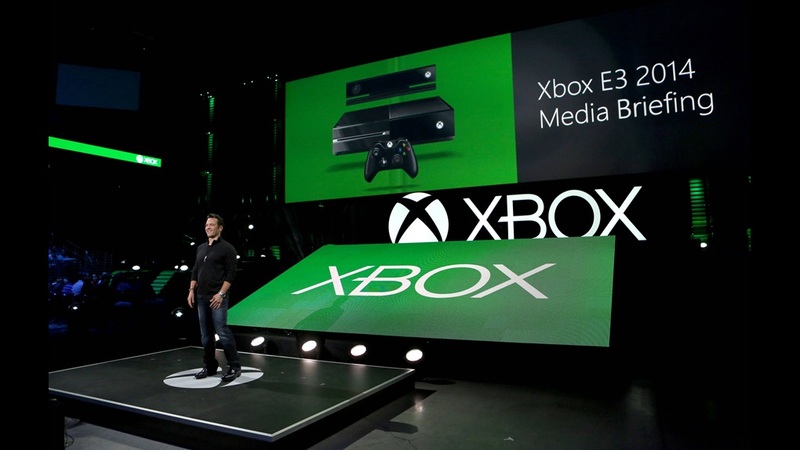 That concludes Part I of our look at the ID@Xbox games of E3 2014. Keep checking back with us as we continue breaking down the many other indie Xbox One titles Microsoft is showcasing this week.